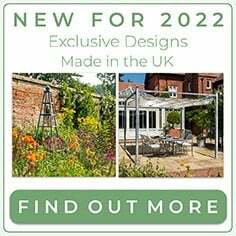 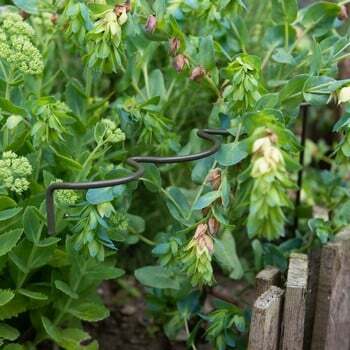 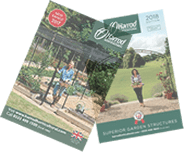 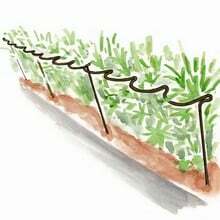 The New Harrod Scalloped Border Restraints allow plants to gather in the pockets to achieve a natural, irregular outline in the border and are available in Olive Green or Rust finish. 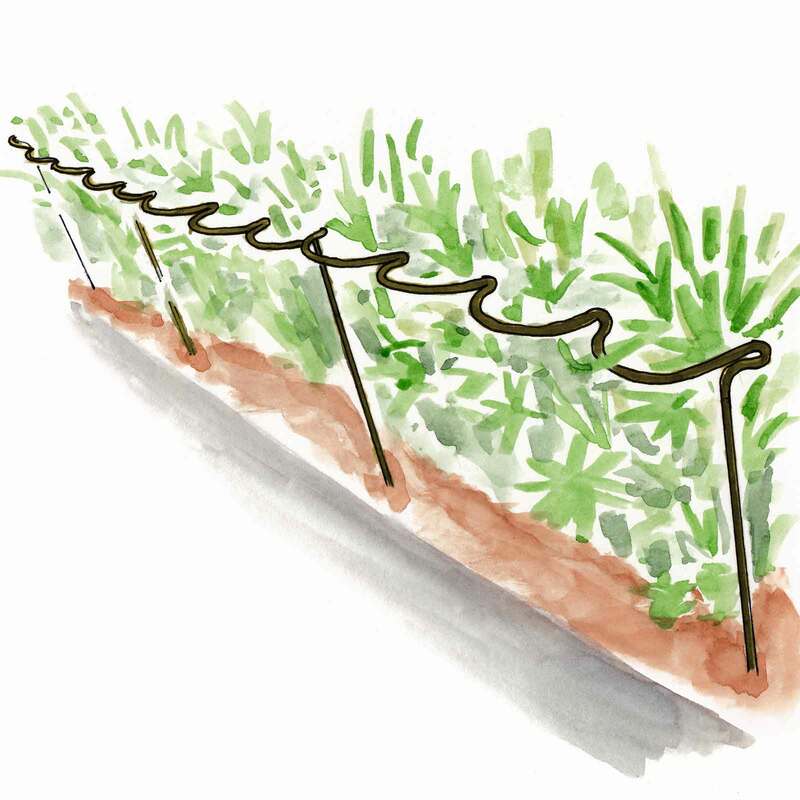 Our New Scalloped Border Restraints are manufactured by us using strong 6mm galvanised steel wire and come with a 5 year guarantee. 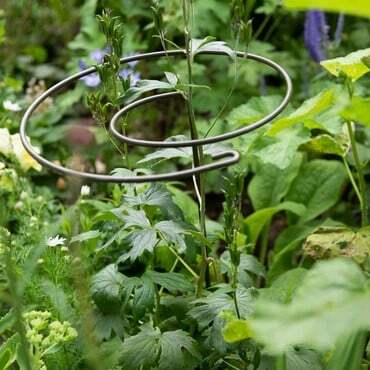 Perfect for Anemone 'Honorine Jobert', Crocosmia 'Lucifer', Aster 'Monch', Artemisia 'Silver Queen', Agastache 'Blue Fortune', Monarda 'Fireball', Perovskia 'Blue Spire', Phlomis russeliana, Rudbeckia 'Goldsturm'. 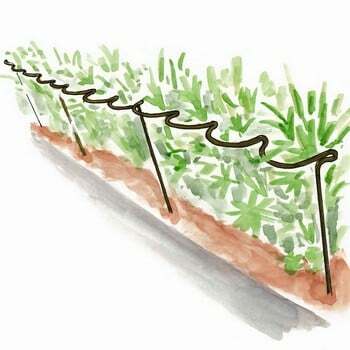 Olive Green Border Restraints are powder coated for a long lasting, weatherproof finish and to make them merge seemlessly into the background when positioned in the border. 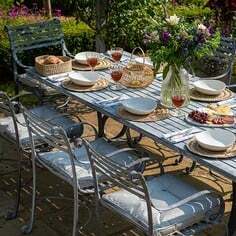 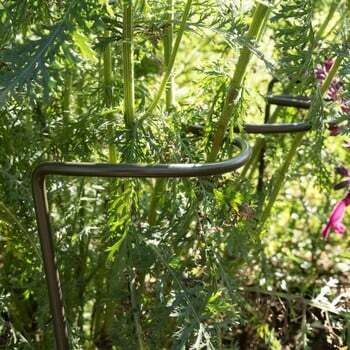 Rust finish is supplied in plain steel which quickly develops a beautiful rust patina. 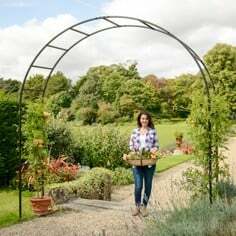 The new scallop shape allows plants to gather in the pockets to achieve a more natural, irregular outline and are available in a range of sizes. 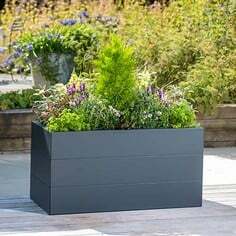 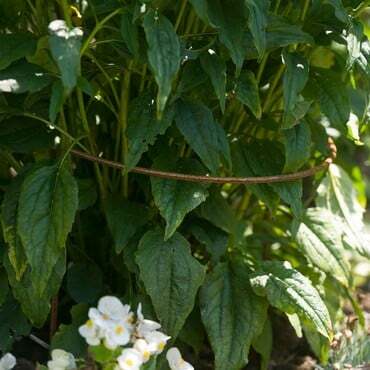 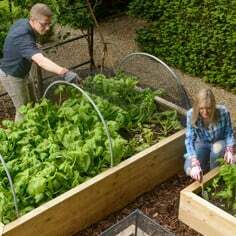 The scalloped border restraints are easy to install by simply pushing into the ground and can be moved easily as your needs change throughout the season. 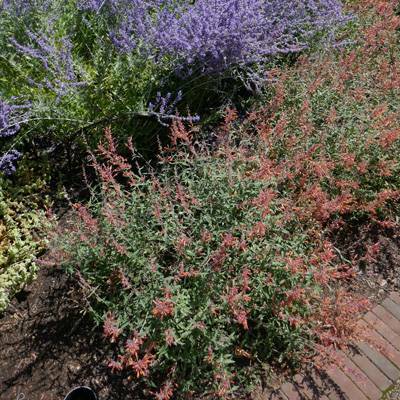 Perovskia and Agastache examples showing how these plants can require support when growing. 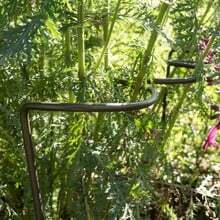 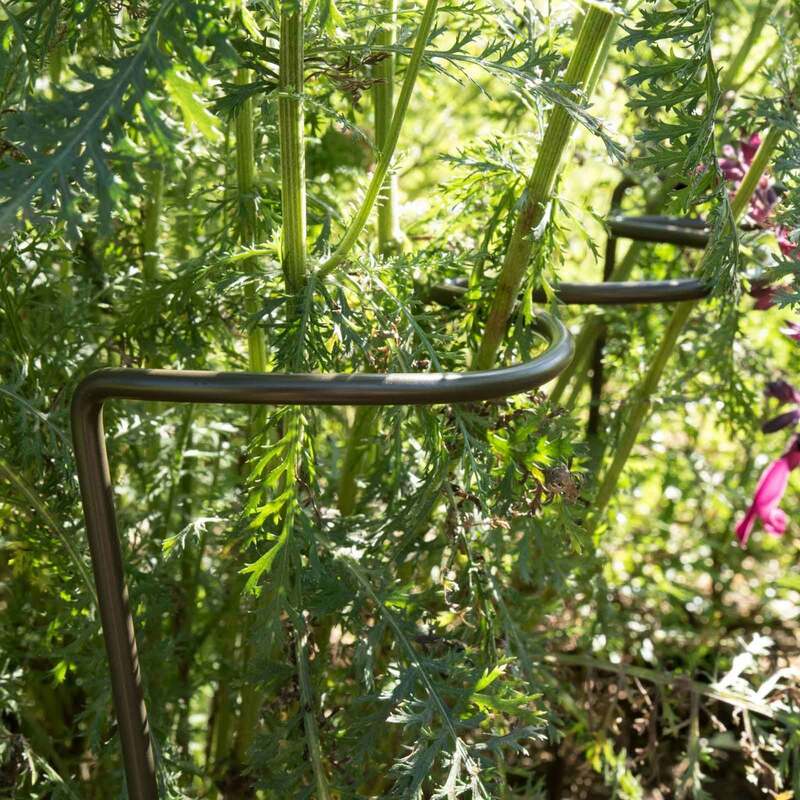 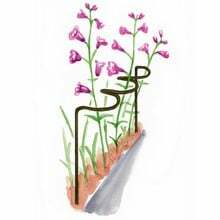 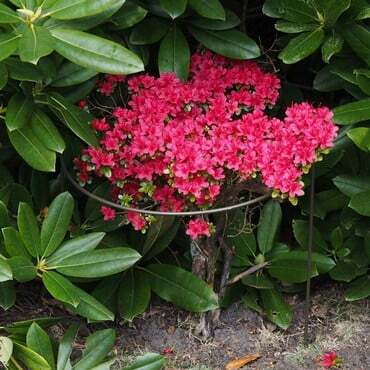 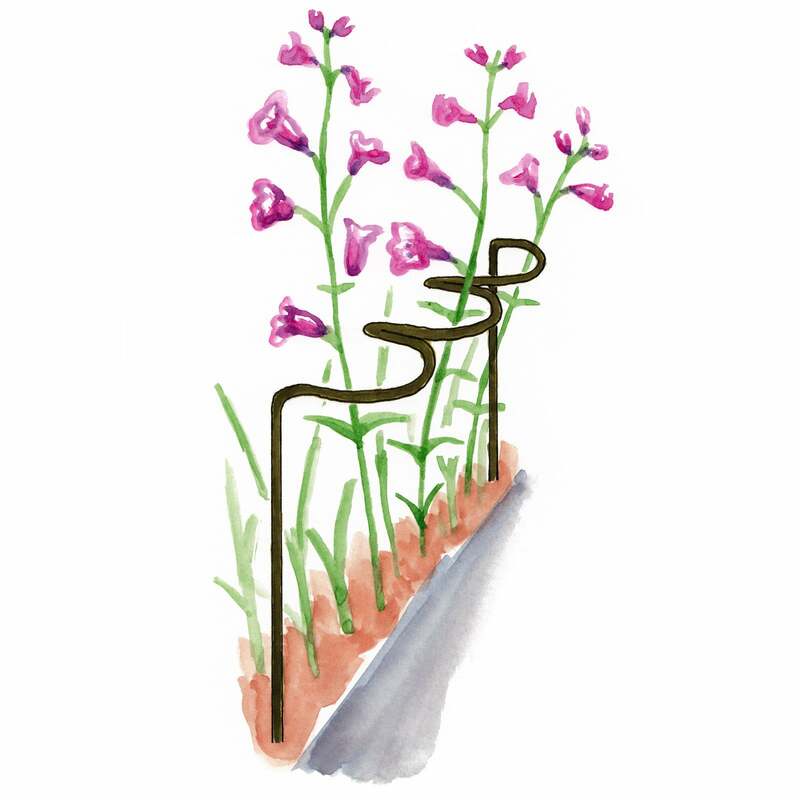 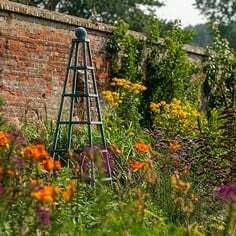 These restraining border supports are very useful for plants that have grown enthusiastically and spill over onto the lawn. 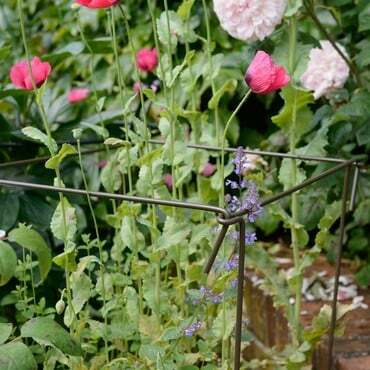 They are strong, easy to use and there is a good choice of sizes and they come in 2 colours. 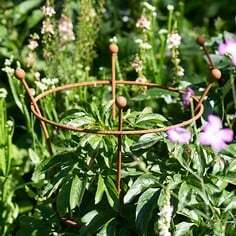 Sturdy and easy to place, I was so pleased I ordered some more!